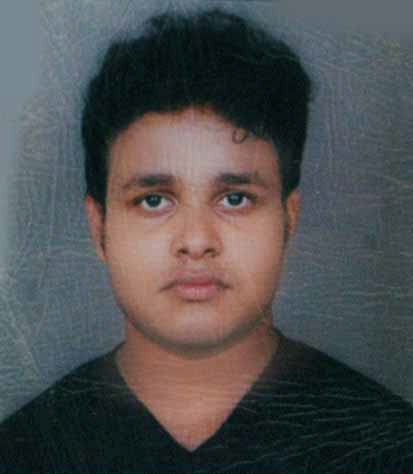 My name is J. Srikanth and I am currently studying in Bharati Vidyapeeth University Pune, in 3rd year production branch. How I came to krishna consciousness ? I was in 12th standard so i was preparing for my board exams and was working hard day and night to pass. Also i was worried about my carrier and whether i will get admission in engineer college or not this year, so i was working hard. The day came when board exams started every exam went well of mine but i was fearing of my physics exams. And then one of my friend said that”dont worry physics paper will be leaked at night you just have to give 300 rupees” so i was very happy because actually physics is my weak subject”. At last at night no papers were leaked and i was waiting for it, then i called my friend and asked about the status, he said that yes it will happen but in the morning 3 AM. So i thought lets take a nap till that time so i slept and suddenly my phone rang it was 3 am and a whatsapp message came it was the photo of that physics paper. So i was happy and quickly woke up and washed my face with cold water and started to prepare with that. Then i went to the school and sat to write the exam and when i got the question paper i got lots of sweat because not even a single question came from that leaked question paper. Tears went down from my eyes and it was confirm that i will be failing in physics exam and there is no one in this world who will gonna help me. So i did my best whatever i knew in that question paper and went home after completing the exam but i was very sad and felt into anxiety. I was actually a atheist so because of that i dont even bow down to any demi god And moreover i just start crying day and night in my room. And then i inquired myself that “why i am born in this world? why i am so much in suffering? and why there is only more suffering and pain and less happiness in this world for me? why even after doing so much of hard work there is no that much of expected results? where have i come from? why am i suffering here? where will i get permanent happiness? These all question where arising in my mind. One day i went to the tuition teacher from whom i use to study for my boards, i said all my situation and frustration of mine. Then he suggested me that “you should do meditation” so then my mind flickered and i thought yes this could be best for me for peace. So from that day i searched in the youtube how to do meditation and started doing that and truly i am saying that i went so far doing meditation that i use to end mediation up doing it 4 hours sitting at a single place. And then i dont know why when i use to meditate one picture always came into my mind and that is of Lord Vishnu lying down on Shesh Naag so i did nothing but meditated on that image. And day by day i was falling deep into meditative state and i dont know from where a feeling of guilt was coming inside me and i quit eating non veg. My parents were getting worried that why i gave up eating non veg and they asked are you doing some devotion or what? I said “YES” then they replies “OK no problem do”. But one day what happened is my mother emotionally blackmailed me by saying” just for you we are buying chicken and fish and you are not eating it so we will also not eat” Then i thought ok so i will eat but after eating it i felt so much guilt that i was thinking there will be only one thing in my life and that would be either meditation or meat eating. So i chose meat eating because of my parents and from that day i gave up doing meditation which i was doing it since 3 months on a regular basis. And then suddenly one day after dinner my father came and said happily i got promotion and salary was increased and he was very happy. The another day was my results and i was very much depressed and biting my nails out of anxiety so me and my 3 friends were sitting and was waiting for the result to come, and then it came. It showed that i was all clear and i got 63 in physics and i was pass. I was very happy and also i gave a entrance exam in Pune Bharati Vidyapeeth college, of which i was been selected to admit in the college. So everything was alright and then i came to pune and got a hostel to live in. My parents came till pune to leave and then as soon as they went to home the next day Some devotees from Mayapur Voice came in my room and they were mentioning that it was a Personality Development coarse. I thought these are all rubbish and that one need to stress himself upon certain personality but then i thought ok no problem i gave a 100 rupees for registration and they said” do come this sunday there is also dinner arranged for you” I said “ok”. But i didn’t went that sunday they just called me atleast 4 times but firstly i didnt picked up and last in 4th call i picked up and said sorry i cant come because i have some problem. The main reason was i was suffering from Home sickness i was missing my family and my city. So i regected the proposal and that course was of Discover Yourself. It was of 4 Sunday program course in which they insisted to come every time but i refuse. Now it was a last Sunday remaining and 2 devotees came into my room and i got irritated by seeing their face but quickly they gave a hand full of Sweet Halwa. I ate that and thought never in this world i ate such a sweet halwa it was very different. Then they said today is the last sunday of that course please do come because today the directer of Mayapur Voice will give a lecture And he had done B.tech From IIT Bombay so please do come. I thought ok that is good then lets see what is there tonight. And then i got ready up and he came and dropped me. The moment i stepped inside i saw there is a swami sitting wearing a saffron dhoti kurta and i thought they were telling that a person did b.tech from IIT BOMBAY was coming what is all this. So i saw many of my college friends was also sitting there and i too sat and my luck was so good that i sat just beside HG Radhesyam Prabhu ji. And then when he began the lecture it was nothing related to personality development but all was my question’s answer which arose on the day when i was inquiring about the suffering in this world and why are we here in this world? From where we all came. So my doubts and question were all cleared that day after the end of the lecture and even i questioned more about god and us then he answered all my questions and doubt. Then from that day i was thinking this place is of my type and i visited Mayapur Vopice every sunday even after the Discover Yourself coarse was finished. And then day by day i started chanting and followed the regulative principles and gave up meat eating at a single go because i was wanting from the day i felt guilt about meat eating so i gave up easily and also i did all the camps and after one year i permanently shifted to Mayapur Voice. So this was my story How i came to krishna consciousness.